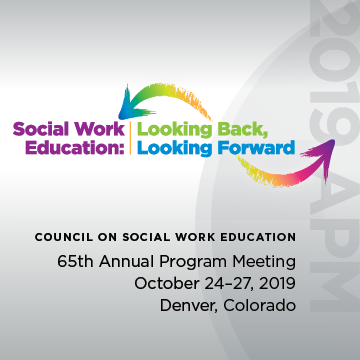 Founded in 1952, the Council on Social Work Education (CSWE) is the national association representing social work education in the United States. Its members include over 750 accredited baccalaureate and master’s degree social work programs, as well as individual social work educators, practitioners, and agencies dedicated to advancing quality social work education. 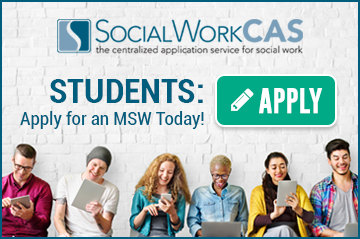 Through its many initiatives, activities, and centers, CSWE supports quality social work education and provides opportunities for leadership and professional development, so that social workers play a central role in achieving the profession’s goals of social and economic justice. CSWE’s Commission on Accreditation is recognized by the Council for Higher Education Accreditation as the sole accrediting agency for social work education in the United States and its territories. Be a part of the National Workforce Initiative, the only national research survey of the future social work workforce, and help us gather invaluable information that we’ll share with the social work education community and other stakeholders next year. Learn more. CSWE joins U.S.-based and international social work education programs and associations in condemning the violence against Muslims that occurred in Christchurch on March 15, 2019. Read more. The social work education community is celebrating Social Work Month across the country. View a list of activities, events, initiatives, and inspiration by state/region and join us in elevating the social work profession. Learn more. Available now at the CSWE Bookstore—Teaching Social Work With Digital Technology was written to help social work educators make pedagogically sound, rational, practical, and ethical decisions about integrating technology into their social work programs and across the curriculum. Click here to read more. The Council on Social Work Education (CSWE) and the Katherine A. Kendall Institute for International Social Work Education (KAKI) are pleased to announce the request for proposals for the 2019 KAKI Grant. The grant cycle spans 3 years (2019–2022) and offers up to $10,000 for at least three grantees. Click here for more information. CSWE’s Annual Report highlights the activities and accomplishments of the organization for a complete fiscal year. The 2017-2018 Annual Report is now available online and shows key indicators for social work programs, professional development, advocacy, leadership, centers and initiatives, and membership. For the second consecutive year, the University of Southern Mississippi (USM) School of Social Work has captured five top honors at the annual conference of the National Association of Social Workers-Mississippi chapter, including the Lifetime Achievement Award, which was given to outgoing director Dr. Timothy A. Rehner for more than 25 years of service at the USM School of Social Work.